For a long time, it was a massive ball-ache to get SWAT 4 working on a modern PC. Just google it and you’ll see countless forum posts asking for ways to get the FPS working. Now it should be easy, as it’s arrived on GOG. If you’re a fan of the classics, we’ve got a list of good old games. It’s telling that people are still trying to get this tactical co-op shooter working in 2017. It’s because it’s regarded as one of the best co-op games of all time. 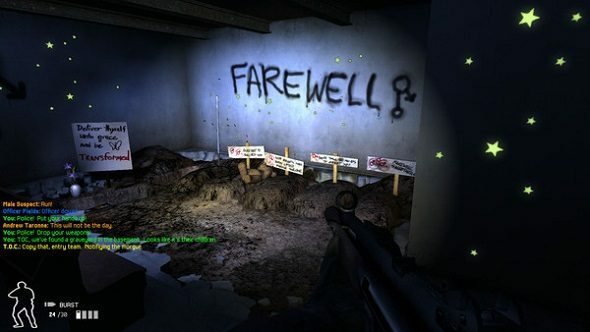 Created by Irrational, SWAT 4 is a shooter that dares put an emphasis on bringing people in alive. It’s littered with brilliant environmental storytelling, too, making every location memorable. GOG has it listed as working on Windows XP, Vista, 7, 8, and 10, which is excellent news. It only supports multiplayer connectivity over LAN or direct connection, however, so you’ll have to get your pals around for a bit on co-op. SWAT 4: Gold Edition includes both the base game and its expansion, SWAT 4: The Stetchkov Syndicate. It’s yours for £7.99 on GOG.